Where education, service, and faith combine to provide each student a foundation of high standards in knowledge and ethics. We understand that choosing a school is one of the most important and difficult decisions parents must make. Saint Leo the Great Catholic School is more than just education; it is choosing a culture in which children will begin a lifelong journey of learning and discovery. Welcome to Saint Leo the Great Catholic School, a Pre-K through eighth grade school where education, service, and faith combine to provide each student a foundation of high standards in knowledge and ethics. 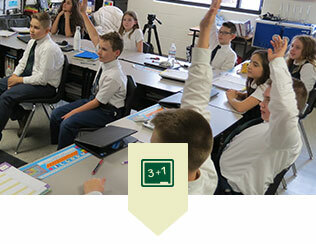 With smaller grade sizes and personal attention, students have an excellent environment for learning. Our campus features green, outdoor spaces and state of the art classrooms designed for learning. The core of our faith is rooted in Christianity and the richness of the Roman Catholic tradition. 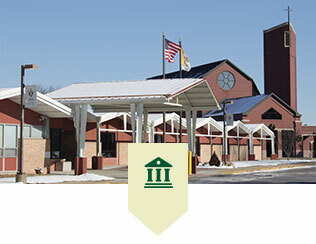 Saint Leo the Great Catholic School offers Pre-K through Grade 8. Discover a place where your child can accomplish great things! Saint Leo the GreatCatholic School? We're committed to the complete development of each child - spiritually, intellectually, physically, emotionally and socially. Our students leave Saint Leo's well-prepared for their ongoing quest to succeed and serve. Visit these links for information on frequently visited pages. Remember to check back often as the office makes daily updates! 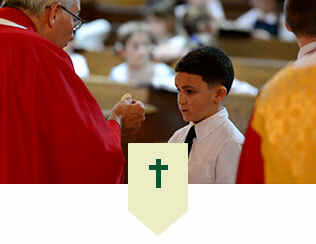 Saint Leo the Great Catholic School exists to develop disciples of Jesus Christ within a secure Catholic atmosphere. We endeavor to strengthen the covenant between school and family to educate the whole child spiritually, intellectually, physically, emotionally and socially. ©2019, Saint Leo the Great Catholic School. All Rights Reserved.